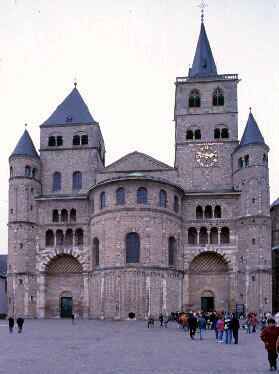 Trier, which stands on the Moselle river, founded in 16 BC under Caesar Augustus as "Augusta Treverorum" and was a Roman colony from the 1st century A.D. Trier became the second Rome, with many important monuments; several of them have survived until the present day. 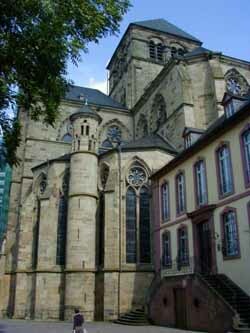 The Church of Our Lady is considered to be the earliest and most important among Gothic buildings of central construction and altogether one of Germany's first Gothic churches. 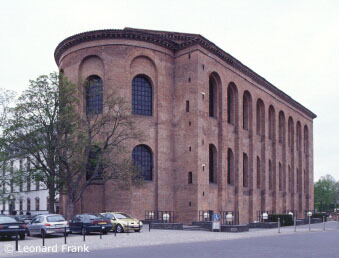 The Cathedral of St. Peter still enclose a large and well preserved part of the ancient Roman building, dating from the 4th century.